While warm weather frequently means spending more time playing outside with your dog, it can also mean itchy and painful mosquito bites for both of you. Bites are just as uncomfortable for dogs as for humans, and dogs are especially susceptible to being bitten because they tend to spend more time outside. If your dog is covered in mosquito bites, there are several things you can do to ease her discomfort and prevent excessive scratching. If your dog only has bites in a few areas, apply a paste of baking soda and water to the affected area. This non-toxic treatment relieves itching without exposing your dog to harmful chemicals. For more extensive bites, give your dog an oatmeal bath. Oatmeal soothes itchy skin and can temporarily eliminate biting and chewing. Hydrocortisone topical ointments are available at most pet stores and quickly alleviate itching. These medications can, however, be toxic, so monitor your dog to ensure she does not lick the area or put her in an Elizabethan collar to prevent chewing. If your dog has bites that are bloody or extremely swollen, seek immediate veterinary care. Similarly, if your dog vomits or seems very ill, she may have an infection or an allergic reaction. Your veterinarian may prescribe antibiotics to kill infections or administer a hydrocortisone injection to relieve itching and stop allergic reactions. Mosquitoes carry heartworms, a life-threatening parasite that can cause permanent and chronic health problems in dogs who survive. 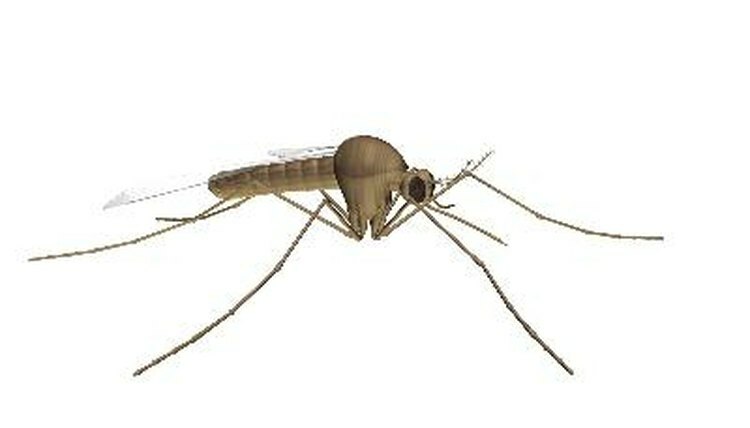 Symptoms usually appear several months after a bite from an infected insect, and include coughing, lethargy and pain. Mosquito bites can also cause infections and severe allergic reactions in some dogs, so it's important to monitor your dog for any changes in behavior or health. Many topical flea and tick preventatives also provide some protection from mosquito bites. Ask your vet to prescribe a mosquito preventative for your dog during the summer months. Your dog should take a heartworm preventative all year to prevent infection with heartworms. Citronella plants and candles can also help to eliminate the presence of mosquitoes in your yard. Dog Owner's Home Veterinary Handbook; Delbert G. Carlson, et al.